Lazy Summer Days/Nights is a ridiculous understatement for me, personally. I was exceedingly lazy. Lazy is not the word. There is no word. Lazy to do anything that was not required, like going to work or a party that I promised to attend. Including being a social, functioning human being. Attribute that to my innate introverted personality. Mind you, I can only act this way for about a month before I start to feel too unproductive and like I need my purpose back. But I can be an extrovert when I feel like it, and by around this time, I’m ready to go back to school and do just that! It’s always good to have a break of some sort, relax, recharge, do nothing and possibly become useless. Of course, since medical school, that break in time has become much shorter, and much less frequent. But at this point in my life, I’m totally okay with that, and I enjoy what I do since it’s directly in line with reaching my goals now and in the future. 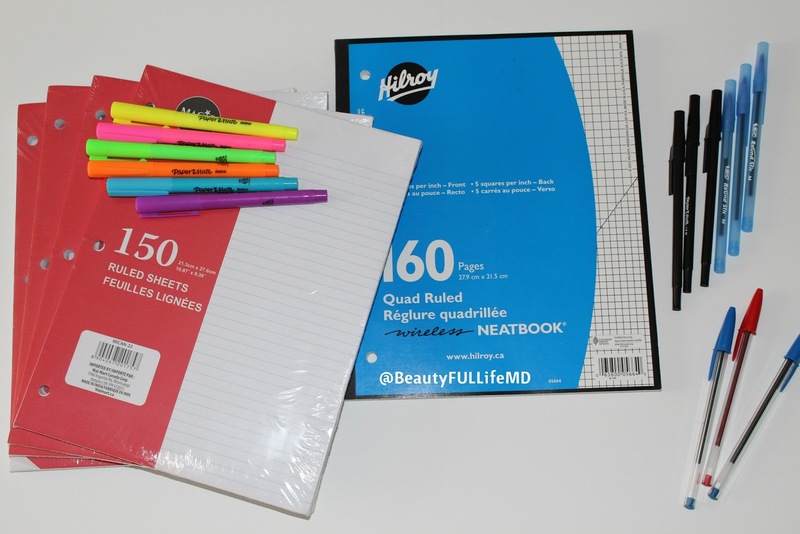 Back to the task at hand though, Back to School Supplies! Am I the only one who likes school supply shopping as much as say…shoe shopping? Okay, maybe not that much. The pay off isn’t as exciting, but you know, it definitely gives me a good feeling! 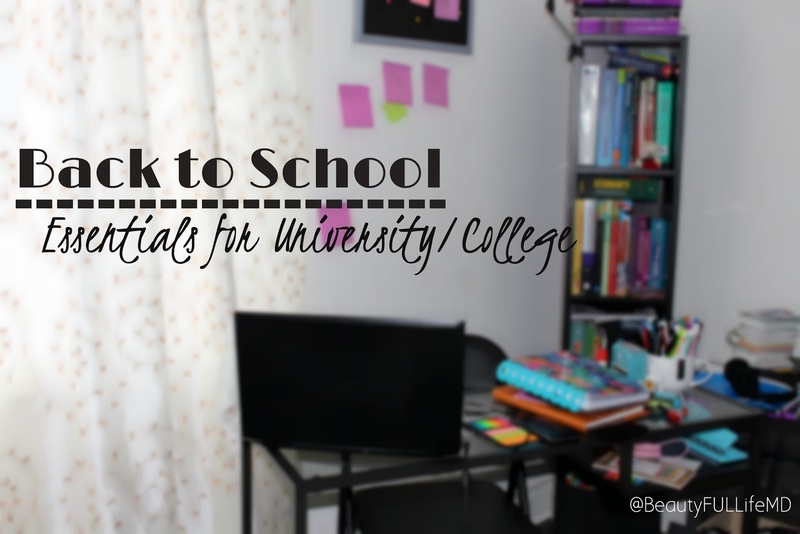 If you’re going to college for the first time, or even if you’re not a freshman and you just need a little change up in how you prepare, I’m just going to outline some things that I have found essential to being all ready to go back. Just the essentials! This list is in no way completely comprehensive. These are just the things that I find are 100% necessary for me to get through school without going insane and it’s just my opinion and I know this won’t work for everyone. There are of course more things you could get, but this is my bare minimum, and why they work for me. 1. Lots, and lots of lined paper! Lined paper is my essential, but I also use blank paper as well as graphing paper, if my notes call for it. I like taking notes because it helps me retain information the best as I’ve mentioned before (The Professional Student: Study Tips). And when back to school hits, paper goes on sale ( and they sell out quickly too). Personally, I like loose leaf so I can move notes around easily, but a notebook works fine as well of course if you prefer. I think taking notes on a computer can be fine for some people, and it IS much more environmentally friendly, but I just don’t remember things as well if I type them as I do when I write it down. I just make sure to recycle what I use when I don’t need them anymore. 2. 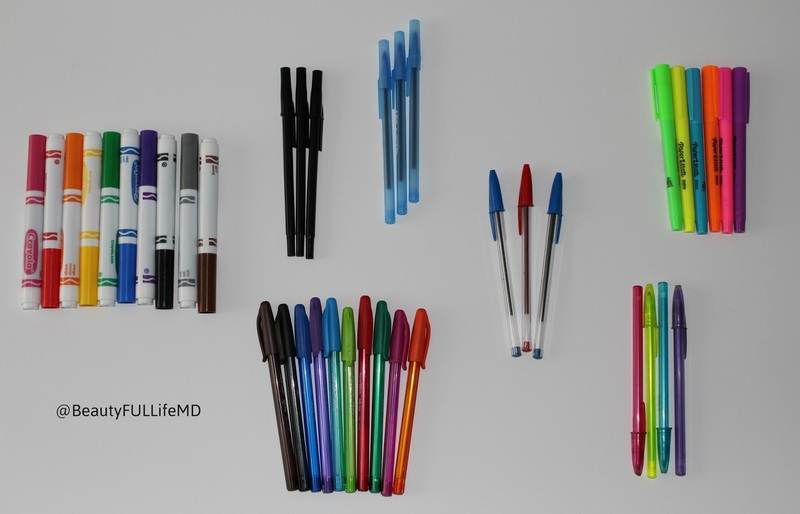 Pens, markers, highlighters galore. And I do mean in every colour you can find. I have to have every writing option available to me, because the more diverse my options, the better I can make my notes. Black, blue and red are all good, and the majority of my notes are in these colours, but all my accents are in colours and are colour coded some of the time, and decorating notes makes them more memorable for me. 3. Binders. Lightweight is best. I know some people hate binders, but here is why I find them necessary. 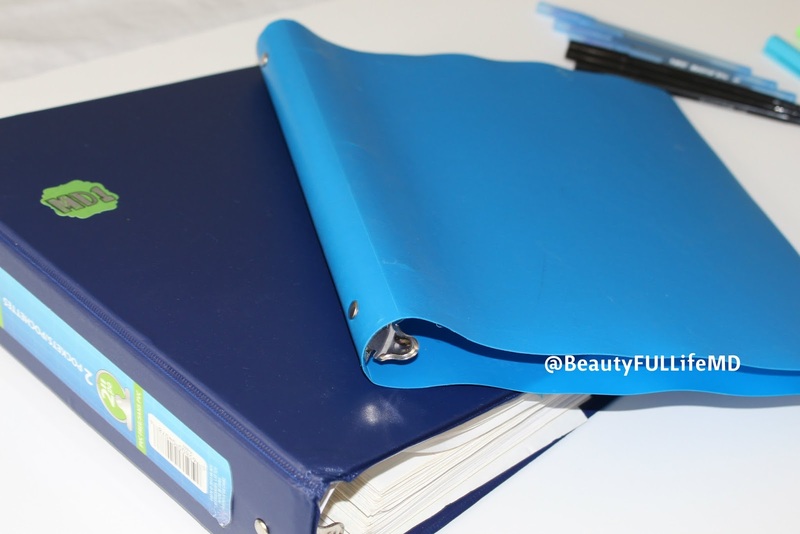 For each subject I used a separate binder, but not a big heavy one, just those flimsy, but sturdy little ones you can find at STAPLES or pretty much anywhere. Depending on the subject of study I would switch the notes out periodically and add them to the master binder for the subject which stayed at home. This way, I wouldn’t have a million notes to lug around daily, but I could always refer to the big one if I needed to and also have everything nice and neatly put together come review time. 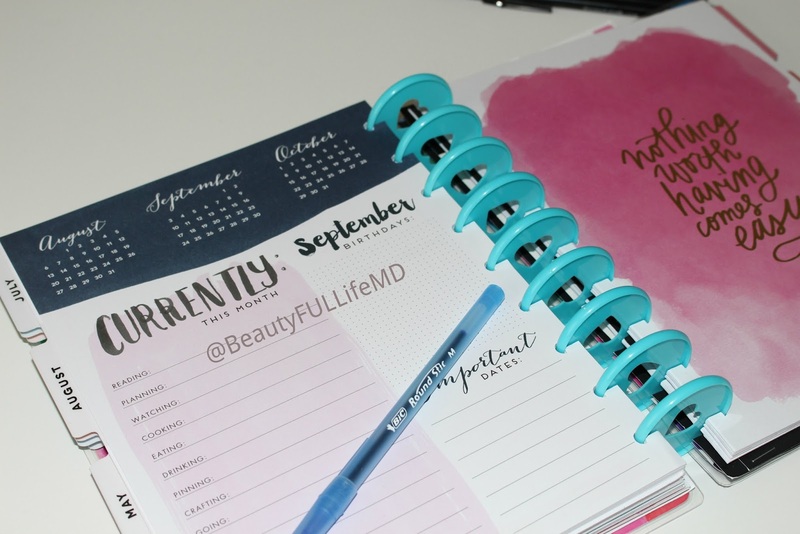 This practice carried all the way to medical school as it was an easy way to keep things organized while having the freedom to move any notes around as I pleased. I would empty the little binder after each block in the semester and add it to the big one. 4. Hole puncher. This doesn’t have to be expensive. 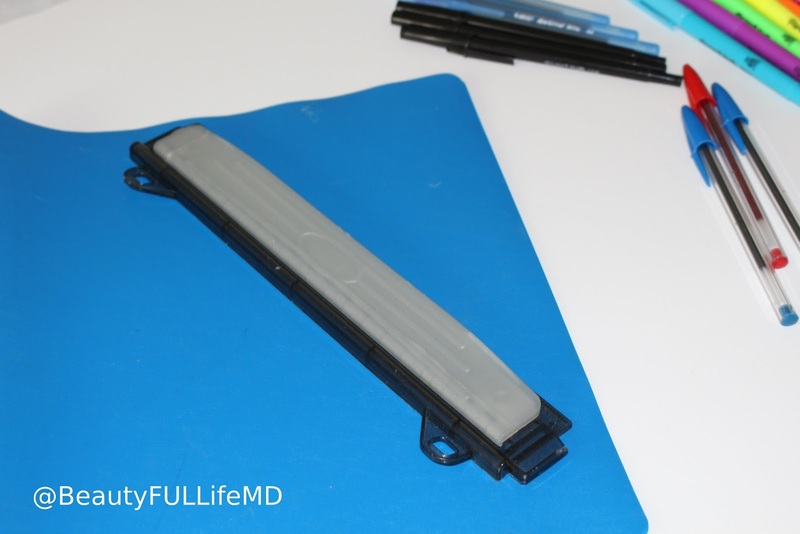 They have mini ones that you can take along and even snap into your binder. I can’t explain how many times I used to get handouts or work sheets at school and then LOSE those badboys 5 seconds later and find myself having to borrow someone else’s to photocopy, and that’s IF I could find someone who didn’t write all over it already. If you don’t find yourself getting handouts in class, it’s still useful for when you have to print out assignments, etc. 6. 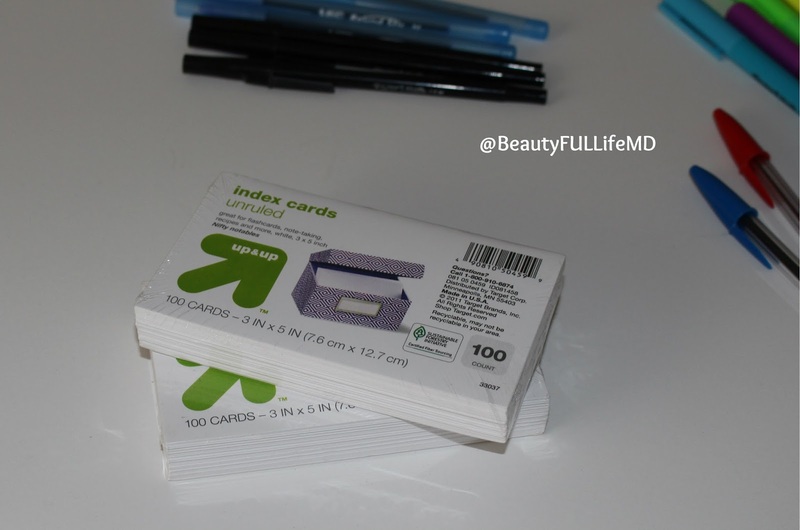 Index Cards. To make notes and flash cards. It’s a memory tool worth having for those who have a large volume of studying. 7. A laptop. Obviously. Okay, I know everyone does not have one of these, and I debated adding this to the list because they can be quite pricey and you can probably get through school without one if you had to. However! Most people will agree that you need one of these, whether you take it to class everyday is up to you, but this just helps so much, I couldn’t leave it out as an essential (though it’s technically not). There are a lot of reasonably priced options, you don’t have to get the most expensive one, just shop around a bit. Some schools even will give you one to rent for the semester if it’s required. Ask questions, deal hunt, you’ll find something for sure. These are what I consider essentials for making learning easier. Of course there are a million other things you can have that would make studying and organizing as easy as ever. But these are the essentials in my opinion for getting back to class! What do you need for back to school? Comment below if you think I missed anything or would like to add. Next Post Fruit Infused Water: D.I.Y.